Angotti & Straface Attorneys at Law L.C. has been assisting our insured clients with claiming the full, fair compensation for all types of covered insurance losses since our office first opened in 1952. Unfortunately, we routinely witness cases when valid and covered accidents, injuries, or property damage claims are denied by the insurance companies of our clients. If your claim has been denied, or you have been offered a lowball/less than adequate settlement for your loss, contact our insurance claims legal team for assistance. Angotti & Straface has been successfully fighting large insurance companies for over 65 years. We know what your claim is worth. The insurance companies also know what your claim is worth. Do not let your insurer intimidate you. Can My Insurance Company Deny My Valid Claim? The insurance policy that you hold with your insurer is a contract with specific terms. Our experienced insurance dispute attorneys will review your policy and coverage to determine what the calculation for your loss should be and will work to secure the full financial compensation that you are entitled to receive. 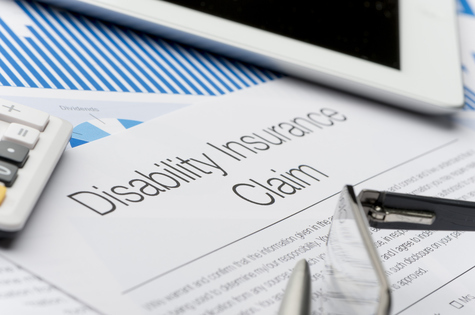 Although your insurance company can deny your claim, you have every right to fight their denial and seek fair compensation for the losses that your insurance agency has promised to reimburse you for. Our law firm handles claims negotiations and investigates insurers who have a history of routinely denying valid claims based on insignificant technicalities. If we discover that your insurer has a proven history of abusing their position, we will determine whether you may also be able to file a bad faith insurance lawsuit. In the latter case, your insurer will be held liable to pay for your actual losses, as well as penalties and your attorney fees. Angotti & Straface Attorneys at Law offers a free initial legal consultation for those who have had a valid insurance claim wrongfully denied or who have been offered an unfairly low offer. We are available to assist you with gathering evidence to support your claim to help ensure that you receive fair compensation for your insurance claim. We assist residents in Charleston, Huntington, Morgantown, Parkersburg, Wheeling, and throughout all of West Virginia. Call us at: (304) 292-4381.